Well, I thought that I would see Roger Waters of Pink Floyd perform his The Wall Live once in my lifetime. I immediately secured tickets on the presale. This time 4 friends went. My cousin and I attended both shows, Houston in 2010 and Austin, then we all eagerly awaited the day for over 6 months. Roger Waters The Wall Live show at the Frank Erwin Center in Austin, Texas. We had seats further back than last time. We weren’t center stage, but off to the ride side. This allowed us to get a full sense and view of the show. Even the pre-show music was good. After 8:00 the prompt start-time, in which they start playing the walk-in audio. The show started off differently with 2 solders carrying the original Pink doll from the 1982 The Wall film, walking through the crowd, approaching the stage and calling out I Am Spartacus, from the Stanley Kubrick film of the same name. He ended up at the front on the stage where he threw a rag doll, Pink, from his shopping cart onto the stage. Then the lights dimmed and the pyrotechnics exploded! With, see the entire setlist here, but better yet, watch the first clip from the embedded YouTube video and let it play through the show. I’m still very sure that a DVD will be released following this long and very successful tour and we should all rush out and buy it, but until that time, Google search the term: “ishoot iedit roger waters”, there is an incredible DVD available for download to give you an idea about what you must not miss out on, but it’s not too late. 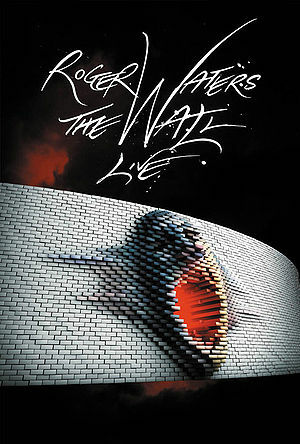 Go see The Wall Live in person! This absolutely will be the last time to see any of the original band members performing this piece. You may have to wait for a rock opera version to land in Las Vegas sometime in the future or maybe even holograms. Read all about my experience at the Houston show in 2010. This entry was posted in Good Times and tagged 05/03/2012, austin, frank erwin center, live, matthew comer, may 03 2012, pink floyd, roger waters, texas, the pink floyd, the wall. Bookmark the permalink.